There is a lot of dog training material and advice out there on the information superhighway. Unfortunately, not all of the books on display on Amazon are created equal. How do you know what to is useful and what might be wrong or even potentially harmful for your dog? 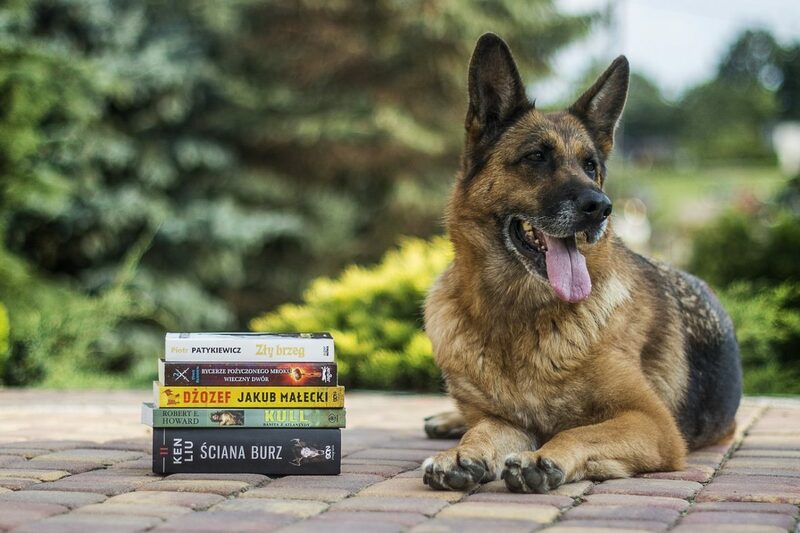 Here is a breakdown of some of my favorite books (and DVDs) available from highly educated, reliable and evidence-based dog professionals. Whether you have a new puppy, an aggressive dog, or just want to teach your dog some new party tricks, check out this list. 72? That’s Too Many Books! Where Do I Start? A quick guide to this list of books – there’s a lot to get through, and we don’t want you to get lost. Have a new puppy? Planning on bringing a new puppy into your home in the future? Learn about house training, basic manners and creating a safe and loving environment for your new family member! Best for: applying positive puppy training techniques to everyday life. Best for: a step-by-step visual guide for puppy training, learning, and creating a strong bond. Best for: all-encompassing information about raising and socializing your puppy. Best for: new puppy owners looking for a complete training plan. Although it lacks a bit of flow, it is an excellent guide to all things puppy. Best for: preparing your puppy for everyday life as well as training foundations to become a potential performance dog. Best for: learning how a puppy develops and how to properly socialize at each age and stage of life. Best for: easy-to-follow training instructions and is ideal for preparing for your new puppy. Best for: understanding the mental and physical development of your new puppy, and offering sound advice about how to properly introduce your puppy to their new home. Best for: understanding how to properly handle and socialize your new puppy. Or, use this DVD as a teaching tool for new puppy clients or those raising young puppies during their “sensitive period” (the first 16 weeks of life). Would you like to better understand your dog and why they behave they way they do? Maybe you want to know more about how dogs learn, communicate, or experience their world. These resources are great for every dog lover! Best for: learning how to make the best possible life for your dog through understanding and respect. Best for: providing insight on the inner workings of dogs. Best for: a practical visual guide on how to read and understand dog body language. Best for: understanding why dogs behave the way they do, and their role in a human-centered society. Best for: understanding the biological and evolutionary components of your dog and their behaviour. Best for: extensive footage of an array of canine behaviour and body language examples. Maybe you have a new puppy, or you’ve recently rescued a new dog. Here are some resources for teaching basic manners and skills, such as down, stay, and leash manners, in a positive, fun, respectful and effective way! Best for: providing an overview of how to properly use the clicker and offers the reader a progression of teaching your dog basic behaviours. Best for: taking a step beyond teaching your dog basic behaviours to training In the real world full of distractions. Best for: clearly explaining learning theory in a practical and applicable way. Best for: learning about understanding and reacting to your dog’s body language using positive reinforcement training techniques as well as more advanced training concepts. Best for: learning how to fix and prevent behaviour problems in your pet. Best for: a practical Q & A style training book covering learning theory and positive training methods. 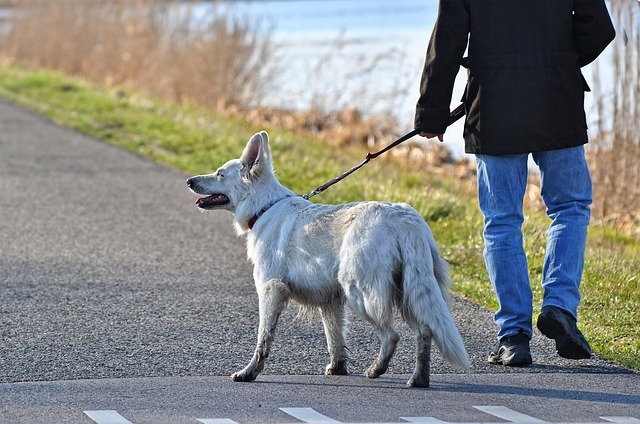 Best for: teaching your dog to walk politely on a leash at any age, stage, and for any breed. Best for: establishing a great relationship with your dog and teaching consistent and reliable behaviours for a solid foundation. Best for: teaching leash manners to all dogs of any age, size or breed. A great accompaniment to the similarly titled book. The human-dog bond is the basis for optimal communication and mutual respect with our furry family members. Dogs have co-evolved with humans, and we have a very special interspecies relationship compared to all other species on this planet. Learn more about the importance of the human-dog bond, and how you can build and strengthen it. Best for: Emphasizing how our own behaviour affects our dogs and our ability to communicate with them effectively. Best for: a classic read on the dog-human relationship and how the way humans behave impacts our dogs and their world. Best for: seeing a dog’s world from their unique perspective and finding a deep connection with your dog. Best for: understanding the evolution of pets in our lives and in society, and how they have become a part of our family. Best for: fostering teamwork between human and dog through a mutual connection. Best for: understanding how emotions affect behaviour, and how emotions affect our relationship and interactions with other animals. Best for: understanding how trust, communication, connection and allowing your dog the power of choice all work together to build a stronger bond–the basis for successful training. Herding breeds–like collies and heelers–are high energy, quick, and may benefit from some specific mental stimulation and learning some distinct behaviours in order to be calm in a human-centred environment. Best for: teaching your herding dog how to hone their natural abilities in a modern human world. 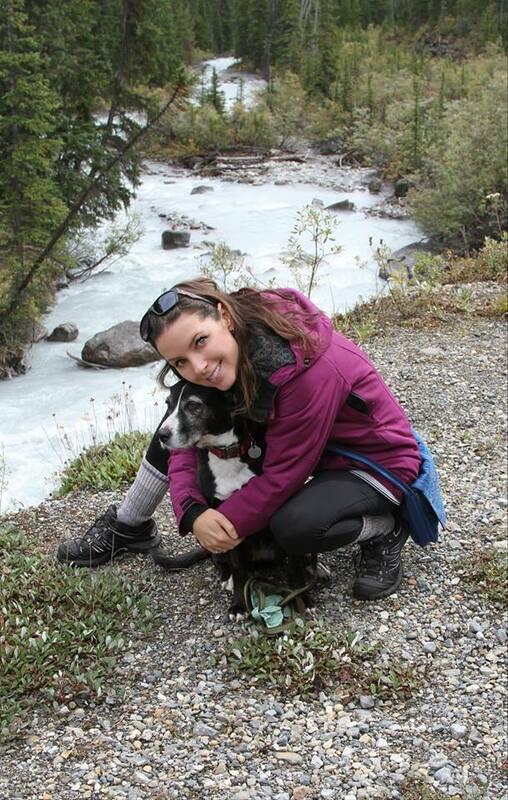 Best for: learning about the inner workings of the Border Collie (BC) and how to keep your BC’s mental balance. Best for: a complete overview of the BC, from puppyhood to aging, and everything in between. Generally, dogs who bark, lunge or growl at people or other dogs are categorized as exhibiting aggressive behavior. Did you know, these aggressive reactions are often a response to feeling fearful or anxious? Here are some great resources to help you manage your reactive dog, and to shape their emotional response to certain situations. Feisty Fido: Help for the Leash Reactive Dog by Patricia McConnell, PhD. Best for: changing your dog’s reactive and aggressive response to other dogs or people from out of control to calm and relaxed. Best for: building resilience, confidence and self-reliance by providing dogs the opportunity to learn about people, dogs or anything that triggers your dog to act reactively. Best for: a compassionate approach (towards both dog and owner) to rehabilitating a dog who acts in an aggressive manner. This book covers myths and misconceptions about aggression. Best for: offering several options to help manage a reactive dog, the best way to address situations that may arise unexpectedly in your dog’s environment. This book makes the concept of training easy for everyone to understand. Fired Up, Frantic, and Freaked Out by Laura Baugh. Best for: explaining short training sessions and understanding the underlying psychological reasons for fear, anxiety, and aggression in an easy-to-read way. Best for: managing your reactive dog, and teaching handling techniques and training methods for reducing reactivity through guided lessons. Best for: a step-by-step plan for improving your dog’s impulse and emotional control to create a dog who is happy and calm. Best for: a complete 6 disc step-by-step tutorial for training people and their dogs to deal with reactivity.Great for trainers, professionals, shelter workers and owners. Best for: teaching focus through an interactive series of exercises for you and your reactive dog. Do you have a dog that is shy, nervous or anxious of new people, animals, environments, objects or experiences? Do they run and hide, shake, or retreat from exposure to these scary situations? Help your dog feel more confident in the face of scary situations. Best for: understanding how fear and anxiety can manifest as behaviour problems in your dog. This book is based on the groundbreaking Fear-Free program utilized by some veterinary and other pet professionals. The Cautious Canine – How to Help Dogs Conquer Their Fears by Patricia McConnell, PhD. Best for: understanding how to create a step-by-step plan for your fearful dog. Best for: understanding stress signals in situations such as thunderstorms, During nail trims or car rides–to name a few–and how to create a safe and stress-free environment. Best for: understanding the challenges that dogs face as they may struggle to become our pets, as well as the struggles of the humans who try to help them. Best for: shy, fearful or nervous dogs and providing a thorough explanation on how to assess stress levels, provide support and managing your dog’s anxiety. Do you have two or more dogs at home? How do you manage crowd control? And what can you do to prevent conflict? Best for: everything from food aggression and guarding, over-arousal leading to conflict, dogs just “not getting along”, and the like. Learn techniques to help you deal with specific situations that may arise with two or more dogs in the same household. Best for: a general concept of common dog-related aggression issues and inappropriate social interactions. Best for: creating a harmonious household. This books will explain how to deal with and prevent aggression, fights, and tension. Best for: for dogs who become aggressive and possessive around food, toys, beds or other desired items. Dog-Dog Aggression Seminar by Patricia McConnell, PhD. Best for: providing an extensive collection of seminars, demonstrations and video footage of dog related aggression and how to best deal with each issue. Feeling Outnumbered? How to Manage and Enjoy Your Multi-Dog Household by Patricia McConnell, PhD. Best for: dealing with the group mentality of multiple dogs, with respect to everything from tension and conflict to over-excitement, and the best techniques to train in a multi-dog household. Separation anxiety–distress experienced by your dog during your absence–can be a challenge for everyone in the family, human and canine alike. Is there hope? Will you ever be able to leave your dog alone without a panic attack? Check out what some of the leading trainers have to say. I’ll Be Home Soon: How to Prevent and Treat Separation Anxiety by Patricia McConnell, PhD. Best for: learning to determine whether your dog has separation anxiety or just bad manners and how to deal with both. Best for: an interactive workbook for creating a step-by-step plan to train your dog tolerate being left alone. Best for: trainers, or those who are currently getting professional help for their dog’s separation anxiety. This book provides great information by a leading industry expert on dealing with separation anxiety. Best for: an interactive and customizable format for effective rehabilitation of separation anxiety and barrier frustration. Best for: dog trainers and professionals looking to expand their knowledge of separation anxiety and learning rehabilitation techniques to set your clients up for success. Teaching Your Dog to Come When Called. No matter what! Does your dog come when you call for them? How about if they are playing with a friend, or distracted by a squirrel? Learn to teach your dog a reliable recall for full control and safety. Best for: teaching your dog to come in emergency situations. Best for: teaching your dog to come in all situations for a safe and predictable off-leash experience. Best for: an outlined 5-week program designed to train your dog to come to the sound of a whistle. Best for: learning how to build trust and ensure safety with a rock-solid recall. Whether your dog is a serious competitor, or it is purely for the fun of it, sports can be a great activity for you and your dog. Best for: a customized training plan for training your competition dog bymeeting their individual needs to set them up for success. Best for: reducing stress in the competition ring, developing a strong relationship, and creating a world-class performance dog. Best for: beginners to teach a puppy or novice dog the basics of agility, and to teach them to navigate obstacles on a single cue. Best for: learning proper stretching, exercise and conditioning techniques for a fit, strong and injury-free canine athlete. If your dog is deaf, blind or has mobility issues, adjusting their environment and training program can make a world of difference. Best for: learning how to communicate with your deaf dog effectively, and how to set up a safe and inviting home environment for them to navigate. Best for: caregivers of those dogs who are born both deaf and blind, or are losing these senses due to age or illness. Best for: a comprehensive guide to learn how to communicate and train your deaf dog safely, kindly, and successfully. Maybe you have children of your own, or maybe you have nieces and nephews. Maybe your friends have children that would love to meet your dog. Here are some great books for kids to learn how to interact safely with your dog. Best for: kids learning from other kids how to clicker train their family dog, communicate and have a better and respectful relationship with their dogs. Best for: providing an interactive resource to help everyone in the family learn how to read dog body language and how to best interact with the family dog. Best for: offering interactive games to teach young children how to interact with dogs in a safe and respectful manner. For children 3-6 years of age. Teaching your dogs to play games is not only mentally stimulating, it is a fun and challenging activity to do with your dog to help you build a better relationship. Best for: learning the basics about scent detection, and how scent games can be fun and exciting for your dog. Best for: printing out interactive game cards. Consists of 24 fun training games for real-life skills at a variety of skill levels. Best for: teaching your dog real-life foundation skills in fun and easy to follow game format. Best for: preventing boredom through game-playing by keeping your dog mentally stimulated, focused and happy. Are you looking to teach your dog some fun party tricks? Roll-over, spin, play dead, or maybe even something as complex as grabbing a bottle of water from the fridge? Need some ideas and instruction? Here are some step-by-step tricks to keep your training fresh and fun. Best for: step-by-step instructions for teaching different tricks with varying difficulty levels and “build-on” ideas. Best for: teaching your dog tricks to help them stay engaged and moving, and to help improve your communication and relationship. Best for: teaching tricks through shaping–creating easy to follow steps–to achieve dynamic tricks with your dog. Best for: learning to engage your dog in fun and interactive trick training. One of the hardest things we will ever have to endure is caring for and eventually saying goodbye to our elderly dogs. Senior pets are incredibly special. Learn the best ways to care for your dog in her golden years, and how to improve the best quality of life. Best for: understanding and maintaining the bond you have with your dog when they begin to lose their cognitive capacities. Best for: offering you emotional support as you deal with your dog’s terminal diagnosis and living through the end of their lives. Best for: dealing with the unique and difficult grief and bereavement of losing your dog. Best for: learning how to create the best quality of life for your aging dog. This DVD deals with everything from medical concerns, to end of life decisions. As a trainer and behaviour consultant, I never stop reading and learning. As a dog mom, I always want to improve the life I share with my canine family members. There is a lot of information out there to sift through, and the biggest challenge that I see many of my clients face, is knowing what information is actually reliable. This list is a great place to start! Have I missed one of your favourite training books? Let us know what your go-to resources are! If you are experiencing behaviour issues with your dog and need some extra help, we are here for you.